There are no additional FEES/ADD ONS to be added to our price! This saves you up to $1500 over what other dealers charge in extra fees including Documentary, Notary, Prep, ADM, and Environmental. We are one of the few stores in the USA with no fees, that is why we sell all over the country - saving our customer's thousands! Many customers don't realize how much in extra fees they pay when buying a car. We also offer free delivery/airfare to many states. This is a new 2019 FIAT 500X Trekking SUV. It comes with the 4 Year - 50,000 mile Factory Bumper to Bumper Warranty. It is equipped with 9 Speed Automatic Transmission and the 1.4L I4 Multi Air Turbo Engine. 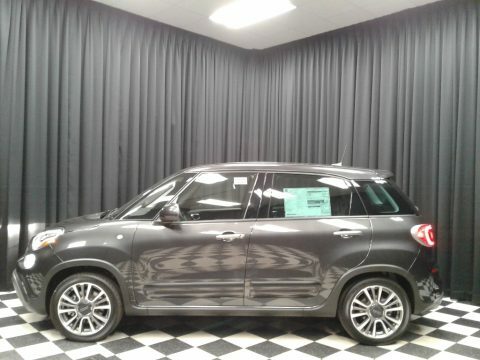 It comes with Remote Keyless Entry, A/C with Dual Zone Automatic Temperature Control, ParkView Backup Camera, Park Sense Rear Park Assist, uConnect 4, AM/FM/SXM 1 year Free Sirius XM Radio, Beat Premium Audio System w/ Rear Mounted Sub Woofer, Apple Car Play and; Google Android Auto Capable, Integrated Voice Command w/ Bluetooth, Audio Jack Input for Mobile Devices, Cruise Control, Power Windows and Locks, Heated Leather Wrapped Steering Wheel w/ Audio Controls, Heated Leather Trimmed Bucket Seats, and 17-Inch Aluminum Wheels. The MSRP is $ 25,415. Internet and E-Bay pricing include rebates/incentives. You may be eligible for additional discounts, ask for details!